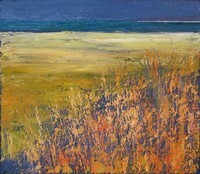 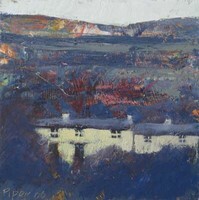 John Pipers' paintings reflect both his nature and his natural surroundings. 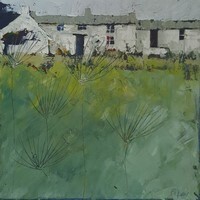 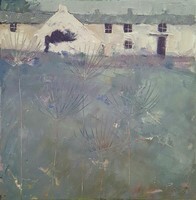 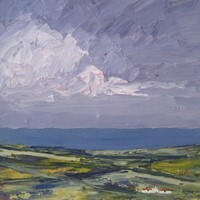 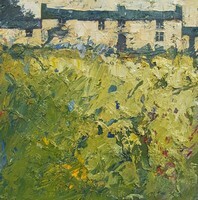 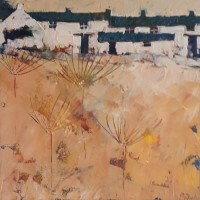 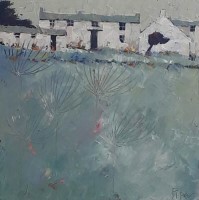 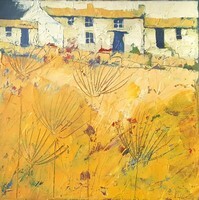 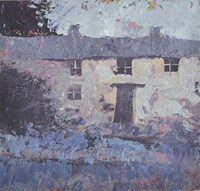 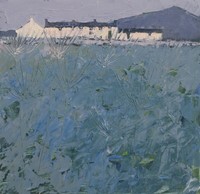 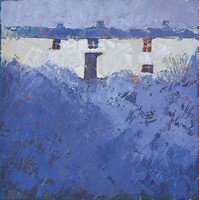 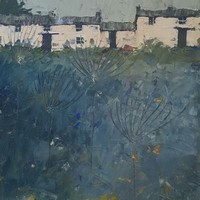 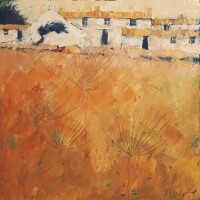 He has been profoundly influenced by the Cornish countryside and it is that, in all its aspects, which is always the subject matter of his painting. 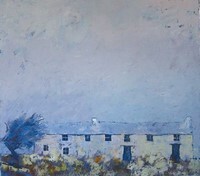 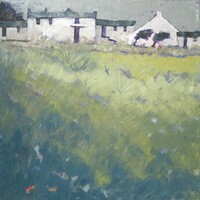 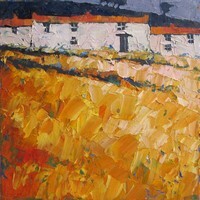 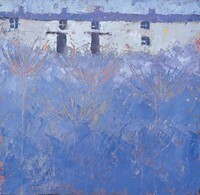 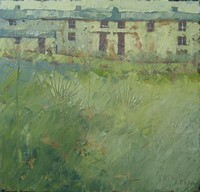 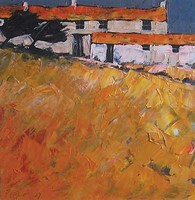 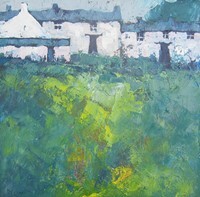 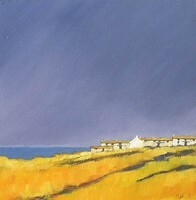 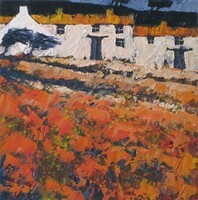 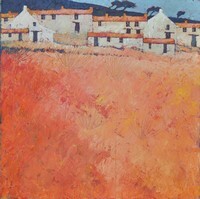 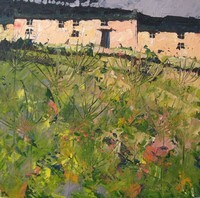 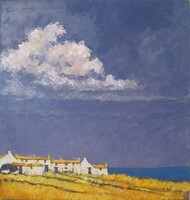 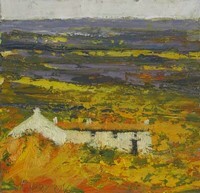 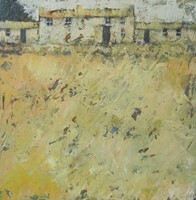 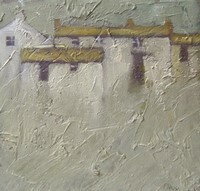 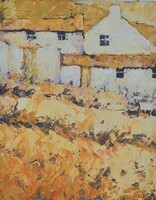 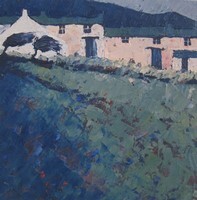 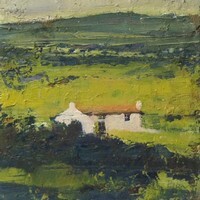 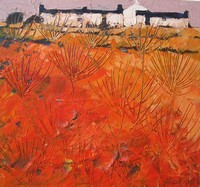 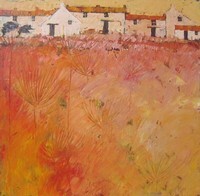 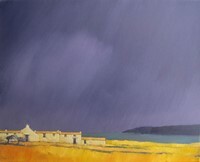 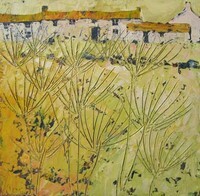 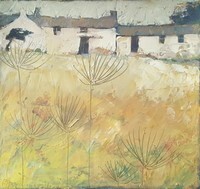 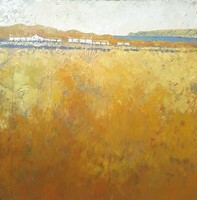 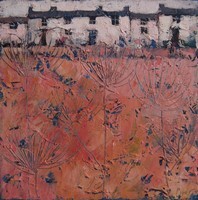 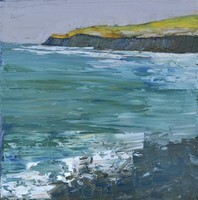 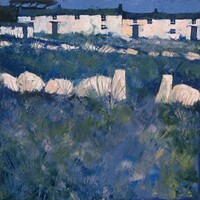 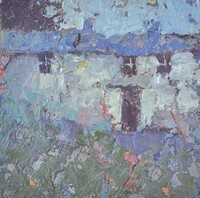 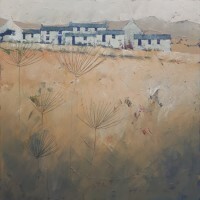 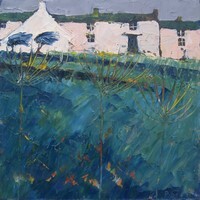 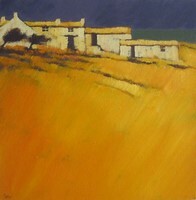 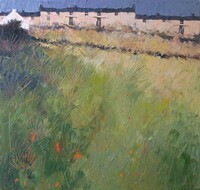 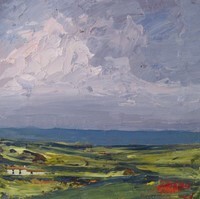 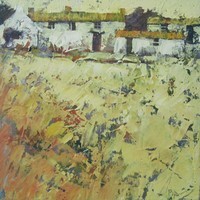 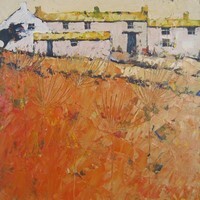 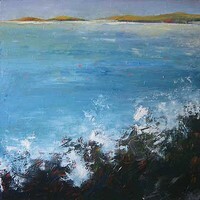 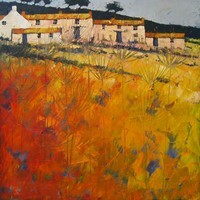 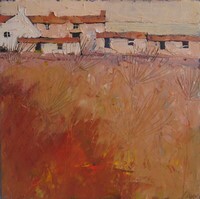 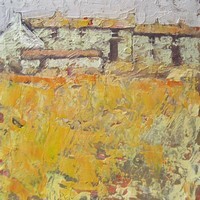 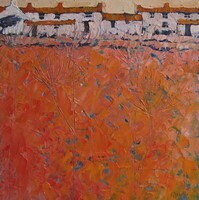 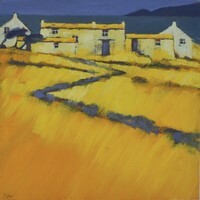 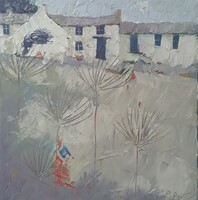 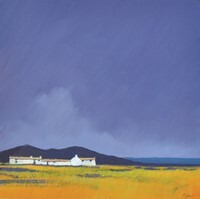 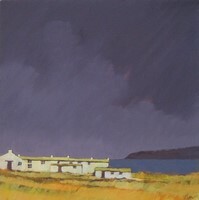 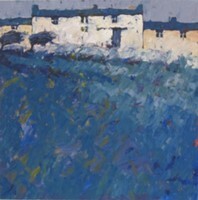 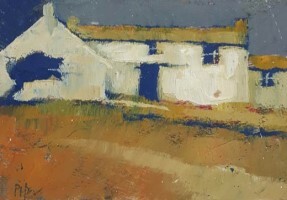 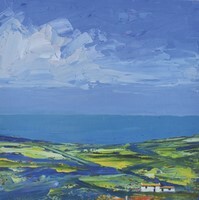 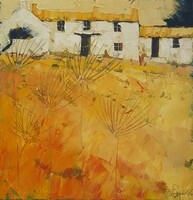 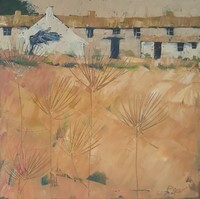 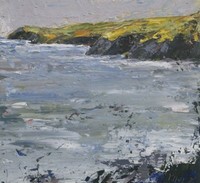 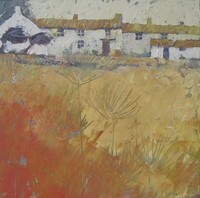 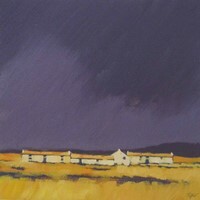 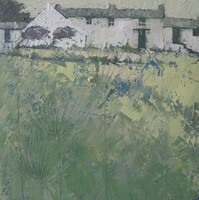 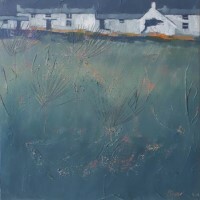 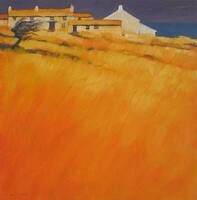 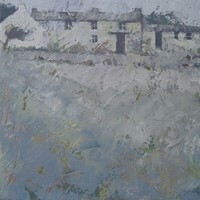 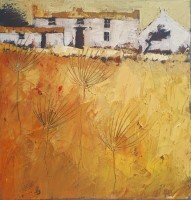 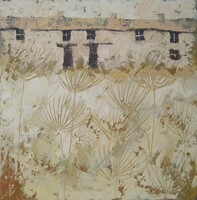 Moors, cliffs, headlands, fields, coastline, cottages hedges and boundaries - these are the themes. 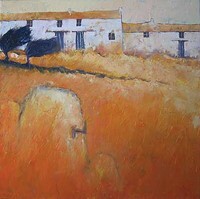 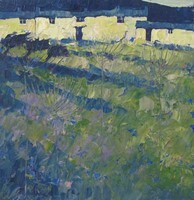 The paintings are full of contrasts and balances. 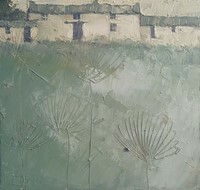 Finely drawn or deeply etched lines are imposed on, or blend into soft blues, greens and ochres. 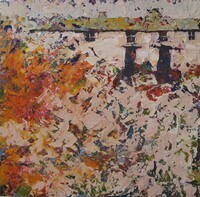 The effect can be sharp or gentle, hard or soft. 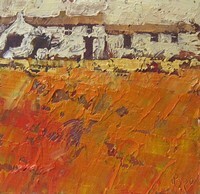 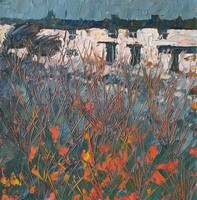 The paintings have a depth of content and colour but there is much surface work, too. 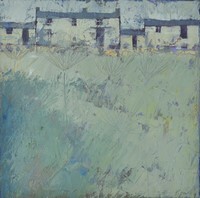 Lines and textures on the surface mean that the work can be perceived at several levels. 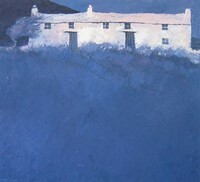 The image is often stark, even cold, but the treatment is always sympathetic so the end result is one of balance. 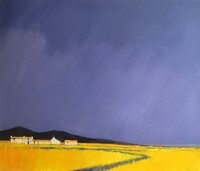 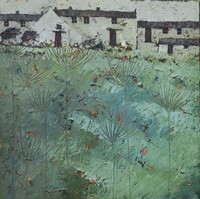 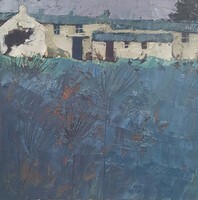 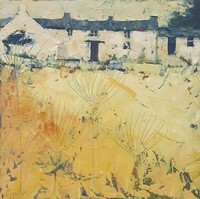 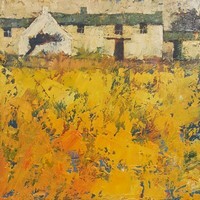 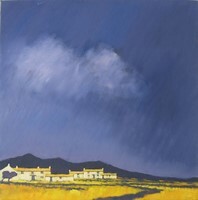 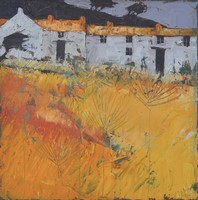 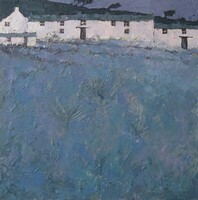 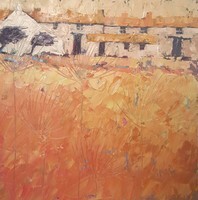 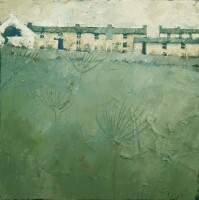 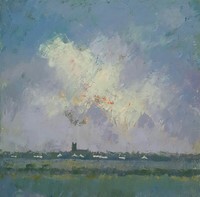 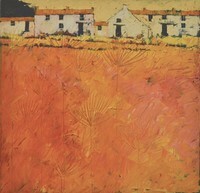 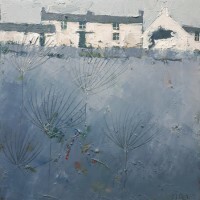 Over the last thirty years John Piper has exhibited widely, with a number of one man shows both in England and abroad.